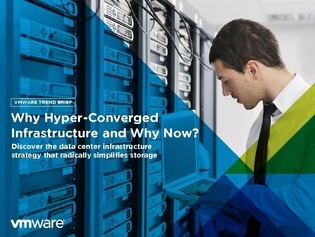 Why Hyper-Converged Infrastructure and Why Now? Social media, mobile devices, and the ever expanding Internet of Things are some of the forces pushing businesses today to operate at blazing speeds, demanding rapid delivery and nimble agility. With IT as the foundation for these changes, an inefficient infrastructure can bring business growth to a screeching halt. In this white paper, learn more about Hyper-Converged Infrastructure and how it can keep your infrastructure in step with the next-generation of data center technology, and able to seamlessly support the increasing performance demands of your business.